MOSCOW, December 15 /TASS/. Ukraine’s former ousted President Viktor Yanukovich has slammed ‘Maidan’ radicals for provoking a war in eastern Ukraine. Earlier on Thursday, Yanukovich started testifying as a witness in Moscow’s Dorogomilovsky Court, which is hearing a lawsuit filed by the former Rada deputy Vladimir Oleinik, a co-chairman of the Salvation Committee for Ukraine, to recognize the 2014 uprising in Ukraine as a state coup. "The war in Donbass was sparked by activities from radical armed groups against the civilian population. The people of Donbass who resisted the ‘Maidan’ radicals were labelled separatists and terrorists. The new authorities did not make a single attempt to prevent violence. Naturally, the peaceful population started to defend itself. 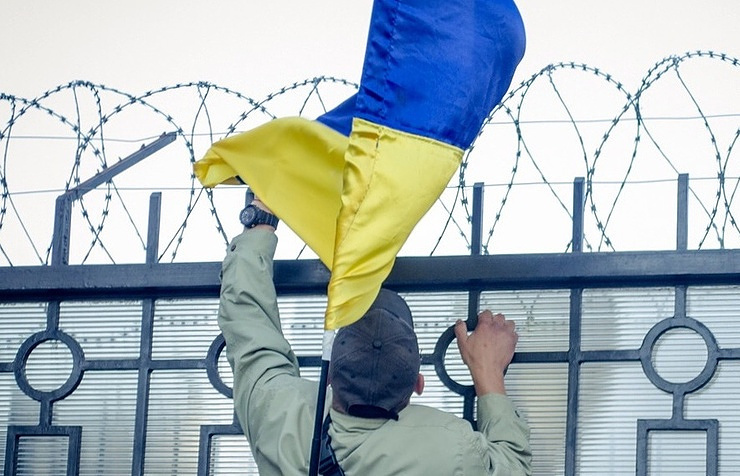 The authorities in Kiev sent troops to Donbass. This is how the war broke out," Yanukovich explained. He added that the population in Donbass had no choice but to fight those punitive detachments that bullied peaceful civilians. Ukraine’s former president said that the 2014 state coup had sparked a civil war in Ukraine, which caused the death of 10,000 people, a TASS correspondent reported from the courtroom. "The change of power led to a civil war. The new rulers declared a war on their own people leaving about 10,000 dead and turning more than 100,000 into refugees," Yanukovich stated. Ukraine’s former president started giving evidence on a lawsuit filed by the former Verkhovna Rada deputy, Vladimir Oleinik, which contained a request to recognize the 2014 events in Ukraine to be a state coup. In his lawsuit, Oleinik said that he was going to defend his right as a Ukrainian citizen in a Russian court on the basis of the UN General Assembly Universal Declaration of Human Rights, which both Russia and Ukraine have ratified. 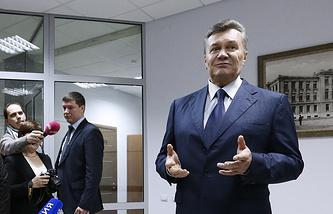 "Yes, I agree with (the lawsuit)," Yanukovich told a judge on Thursday. "I believe that the events which took place back in 2013 and 2014 went beyond the legal framework and violated all Ukrainian laws," Yanukovich stressed. "Those events led to serious consequences for Ukrainians and the citizens of other states who were hurt on ‘Maidan’ and in other places, including southeast Ukraine and Donbass," the former president resumed.